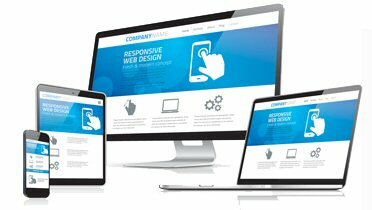 Nowadays, it's not only important for your property to look good on all browsers, and on PC and MAC, it's also a must that websites are viewable on tablets and mobile devices such as smart-phones. Recent research by Google has revealed that 67% of consumers begin their search on one device and then move onto another. In fact, of the 65% of searches that begin on a smartphone, 61% continue on a laptop and 4% continue on a tablet. With this in mind, PLJ believes that providing our clients with a website that is as user-friendly as possible is of the utmost importance. Our aim is to help our clients to easily find information on your property. Our new website has been upgraded and now automatically adjusts to the size of the screen of the device being used. It is "fully-responsive". More and more buyers are searching for properties in the evening at home in front of their TV using their iPad or mobile. The PLJ website automatically scales to fit any hand held device, marketing our properties wherever the buyer may be. The site is consistent, professional, and easy to use. By choosing PLJ you would be using one of the few agents in the area who have invested the most fully up-to-date technology. Our success is linked to serving our clients by using industry leading technology coupled with good old-fashioned customer service. Choose Philip Laney & Jolly for a faster sale!